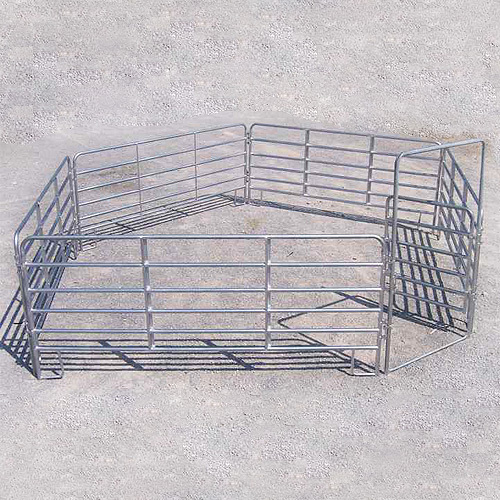 Round pens are by far one of the most widely used training tools in the horse industry today and are quickly becoming one of those must-have equine products. Their versatility allows them to be used for a multitude of tasks from lunging and training pens to temporary turn out. 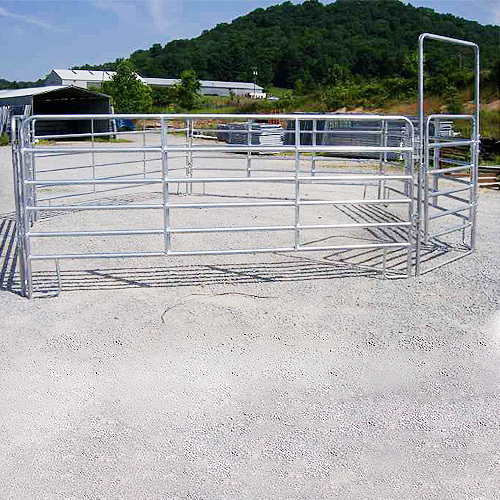 The light duty round pen is constructed from quality tubular steel and then is hot-dipped galvanized for rust protection. It is 5’3" tall, which makes it safer for more excitable horses. 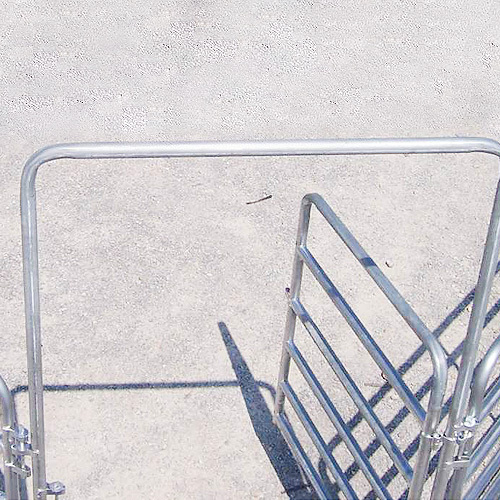 It has a full gate panel with a spring-loaded latch. It is available in 50' and 60' sizes. Gate Dimensions: 5.5' x 4.5' tall and swings both ways. Support: Extra strength with bent tubing and center support for bar strength. Includes: 50' - (13) 12' x 5'3" panels and (1) 4' x 8' swing gate panel | 60' - (15) 12' x 5'3" panels and (1) 4' x 8' swing gate panel. 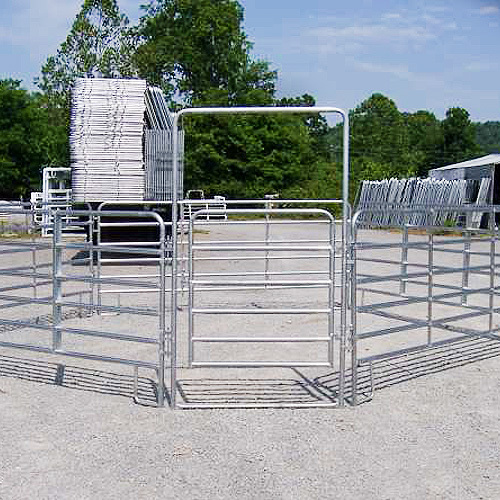 Installation: Assembly is required to erect a round pen. Panels are connected with drop pins for quick, effortless assembly. Drop pins offer increased safety by eliminating foot traps. *Note: Not to be used as horse fencing or fencing gate.